Roero is a small paradise made up of sandy dunes in yellow ochre clay tones covered with green vineyards, all of which combine to create a magical and enchanted landscape. The vineyard traditions in the Roero territory were the inspiration for this denomination and have their roots set deeply over time. Roero is made from pure Nebbiolo grapes, which reach their apex in Barolo and Barbaresco, and in Roero produce a rare fine and elegant wine which has experienced great success over only a few years’ time. The vineyard from which it comes is the oldest vineyard of Nebbiolo grapes owned by the company, planted in 1946 by Giovanni Demarie along with his brother when the latter returned from the war. Giovanni, 20 years younger, has known its brother on his return. This vineyard, therefore, still tells the story of two brothers among them unknown and a return home after six years of war and captivity. Flavour: full-bodied wine, harmonious, warm and powerful. Sensations of violet and red fruits with an undertone of the pleasant spiced fragrances of liquorice and cocoa. Best served at: 18° C. – 65° F.
Sourced exclusively from hillside vineyards, in very select locations of the Gavi area, from families who have been producing grapes for Pio Cesare for generations. Fermentation at low temperature in stainless steel tanks. In stainless steel tanks with extensive lees contact. Fresh, clean and spicy aromas. Salty, with ripe fruit and rich, complex flavor. Great ageing potential. Rioja – the home of the berry loaded, barrel-aged red wine made from Tempranillo and Garnacha – is one of Spain’s most important wine regions. Rioja was the very first Spanish region to be awarded DO status, back in 1933, and in 1991 became the first to be upgraded to the top-level DOCa. All top-end red Rioja is matured in new oak barrels; American oak is the preference, but many wineries use a mix of American and French oak. This contact with virgin oak is what gives Rioja wines their distinctive notes of coconut, vanilla and sweet spices. The amount of time that a Rioja wine spends in barrel shows whether it is categorized as Joven, Crianza, Reserva or Gran Reserva. Rioja Joven wines, which are intended for consumption within two years of vintage, spend little or no time in oak (jóven is Spanish for “young’). Rioja Crianza wines are aged for one year in barrel, and one year in bottle. Rioja Reserva wines spend a minimum of one year in oak, and cannot be sent to market until a full three years after vintage. 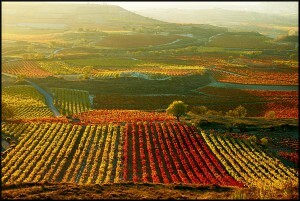 Rioja Gran Reserva wines are the region’s very finest and most expensive wines. These undergo a total of five years’ aging, of which at least two years is spend in oak. In Spain, wineries are commonly referred to as ‘bodegas’ though this term may also refer to a wine cellar or warehouse. For quite some time, the Rioja wine industry has been dominated by local family vineyards and co-operatives that have bought the grapes and make the wine. Some bodegas would buy fermented wine from the co-ops and age the wine to sell under their own label. In recent times there has been more emphasis on securing vineyard land and making estate bottled wines from the bodegas. If you’re like us and love wine and want a few days of absolute peace, leisure and vinous excitement we suggest you head straight to Nasik, the country’s wine capital. It’s only a three to four hour drive from Mumbai and the drive itself is beautiful. We love the monsoon season to go there, it seems like everything has been painted fluorescent green and in the cooler months from November onwards, nights can get quite chilly. Perfect for a glass of warming Reserve Shiraz! There are plenty of options for stay, we like the Taj Gateway or Express Inn, both about a 20 minute drive from the region’s most popular vineyard Sula – which is a hop skip and a wine away from York winery. You could of course stay at Beyond, Sula’s 21 room resort. Tours at wineries usually include a walk through the vineyard, interesting information on how wine is produced, a visit to the winery building to take a look at the fermentation tanks and bottling plants and a tasting session. The scent of fermenting grape juice is extraordinary. Make sure you go to the cellar room to barrel sample some of their wines. First stop on your wine trail is Sula. Take a few minutes to walk around in the vineyard by yourself, have a look at the different grape varietals, the soil and the vines. Everything you’ve read or heard about wineries and vineyards will come to life here! Spend a few hours on the deck of the winery, overlooking the vineyards with the rolling hills and the lake in the background. A chilled glass of their Rose with some charcuterie in the afternoon should have your vineyard experience going in fine style. Next, head to York Winery, a 5 minute drive from Sula. This family owned winery produces award winning wines and we recommend you stock up on them when you get there. The view from their Tasting Room is simply gorgeous. They have interactive guided tours and a kitchen just in case you’d like to stay for lunch or supper. We love the local cuisine that’s part of their menu. You could create your own picnic basket and drive or cycle down to the nearby lake. About 20 minutes away from the hotels is Vallonne Vineyards, a French style boutique winery. They don’t have a restaurant or rooms currently, but they are a passionate winery and produce some very good wines for your drinking pleasure. Another fantastic winery to look out for on your visit to Nasik is Vallee de Vin. Their tasting room lies nestled amongst rows of barrels of some of their finest wines. Sampling wine around a long tasting table amid the barrels is reminiscent of tastings in Chianti! About an hour east of Nasik, off the Aurangabad Highway you will find Vintage Wines. It is a hundred acre vineyard and winery set up by the father-son team of Suresh and Yatin Patel. Don’t miss tasting their wines which are renowned for being very high in quality! 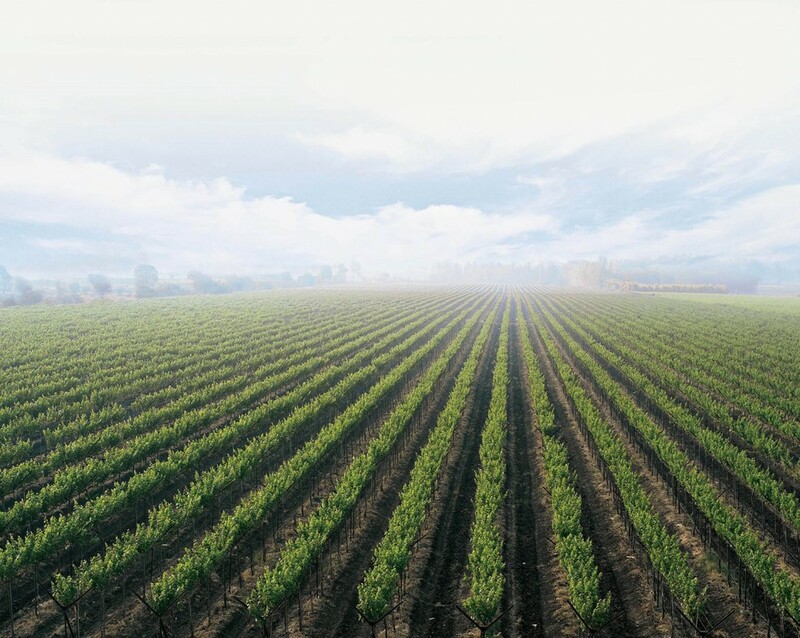 About an hour away from Nasik is the up and coming Charosa vineyards, it isn’t quite ready yet but we have seen what their upto and it looks exciting. For our friends in Pune, we highly recommend a visit to the Fratelli Winery in Akluj, a two to three hour drive from Pune city. The winery is a state of the art structure inspired by the Ferrari factory in Northern Italy. Fratelli has a beautiful guest house with four spacious rooms for their visitors with traditional Maharashtrian food and even entertainment if you like. The outdoor tasting point overlooking the vineyards is just spectacular! It’s exciting to see this marvel unravel in our very own backyard so easily accessible. The wineries are warm and hospitable and look forward to seeing you there. All you now need to decide is when you want to go!